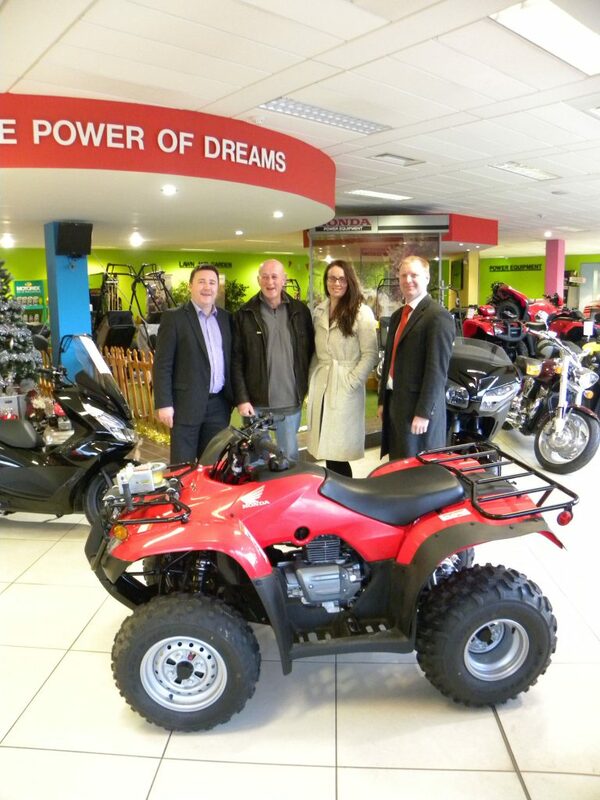 Cormac Farrelly, MD of Agriland.ie, Eddie Walsh, Ailish Brennan, Marketing Communications with Lely and Eric Davis National Sales Manager with Honda Distributors. 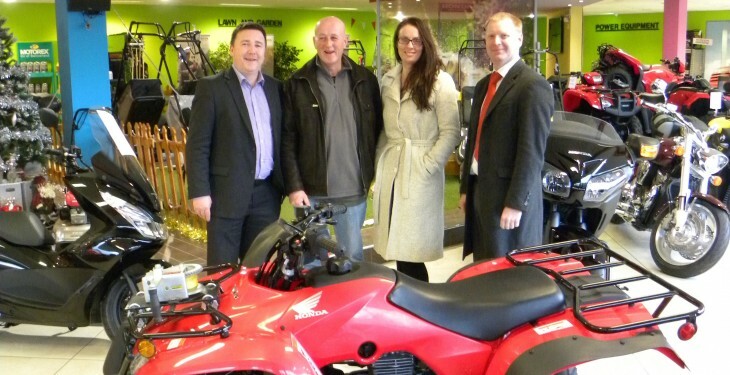 Kilkenny farmer Eddie Walsh from Callan, was announced as the winner of Agriland’s News App completion and went home with a brand new Honda Quad worth €6,000. To celebrate the launch of our New News App last September Agriland, in association with Lely, launched a competition to give away a brand new TRX250TE Quad Bike. Lucky winner Eddie Walsh said he was delighted with the win and said it came completely as a surprise to him. “Since I heard about the win I have already a number of projects in mind where the Quad will come in handy,” he joked. A dry stock farmer, Walsh is in the process of rejuvenating his home farm that he inherited in recent years. “The farm had been let go to a certain extent and a lot of reclamation and drainage is required. “I bought a digger recently, so I can work on it when I can, slogging away at it in my own time,” he said. Having downloaded the Agriland App at the National Ploughing Championships and entered the competition Walsh said that he rarely misses the Ploughing Championships. Walsh goes home with Honda’s long-time best selling Quad, the manual-shift TRX250TE with its convenient Electric Shift Program (ESP) transmission continues to be favourite choice. Honda says its rugged features, get-it-done attitude and stylish looks, along with a strong-running 229cc OHV engine make it the first choice for most farmers. For those who haven’t yet downloaded the Agriland App it makes it even easier to keep up to date with all that’s happening in Irish agriculture and farming. The Agriland app makes it easier for our readers to stay up-to-date with all the latest agricultural and farming news from Ireland, Northern Ireland, Europe and around the world.